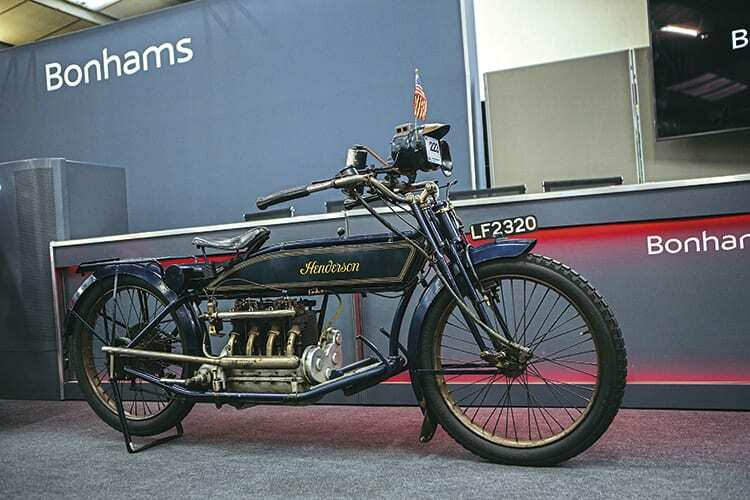 Bonhams autumn auction, at the Stafford show, saw lots of good prices realised, with the biggest price being the £113,500 for the inline four-cylinder Henderson (right), which featured in our November 2017 edition. The 1911 Pierce Arrow from the same collection, which was in our October issue, made £107,900. More from the sale next month.